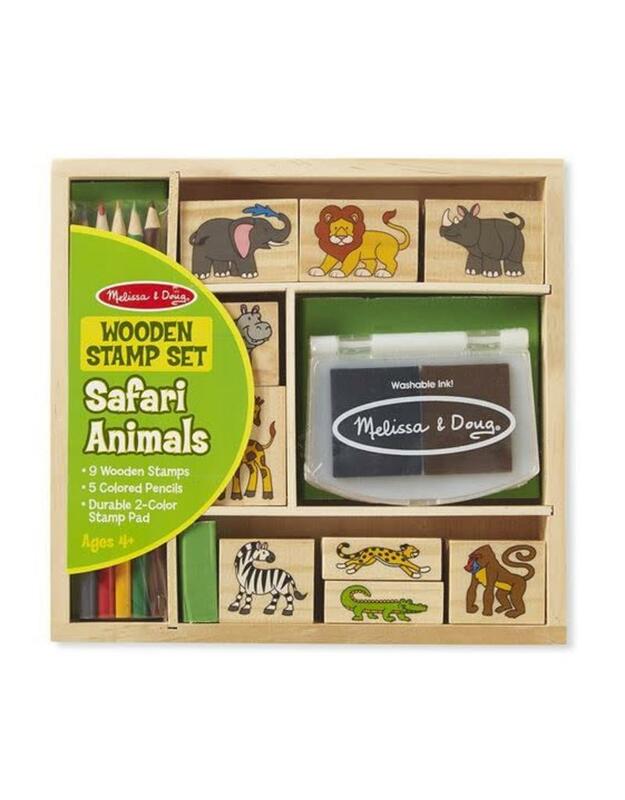 Let creativity go "wild" with this set of wooden s and coloring set featuring safari animals! 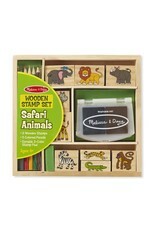 There are nine easy-to-grip wooden-handled rubber stamps, with safari animals like an elephant, ion, cheetah, and zebra. 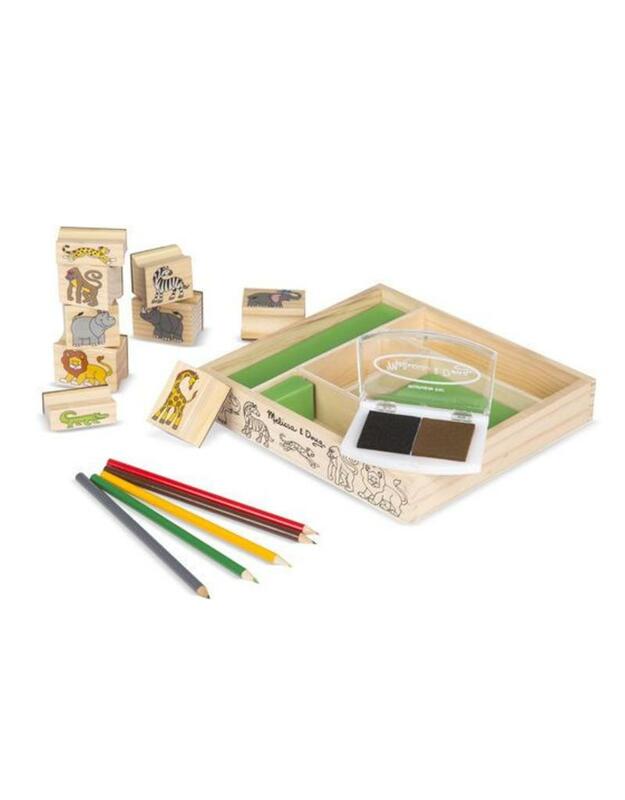 Choose from two colors of washable ink (blue and brown) to create scenes, then color in the animals or add details with the five included colored pencils. All materials store neatly in a wooden crate. 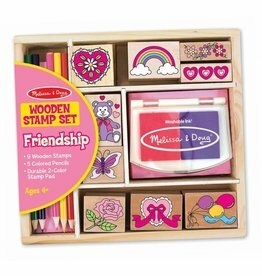 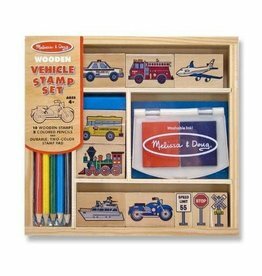 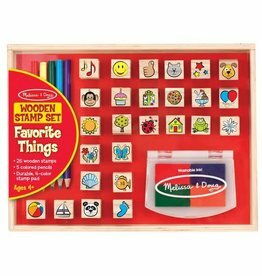 Wooden stamps help kids four and older develop hand-eye coordination and encourage storytelling and imaginative play.